Liven up your space with a custom pillow, beautifully printed with your unique designs. The cover is made from super Soft Velvet and can be filled with either polyester padding or duck feather, concealed with a stylish heart zipper. Choose from 3 sizes to perfectly fill those empty patches on the couch or window display. They're a chic addition to your home, office or event space, so upload your designs and make a statement with printed custom pillows. Your custom pillow is completely handmade, resulting in a beautiful piece of furnishing for your private or public space. We can print your unique designs onto both sides of the Soft Velvet cover, or choose from 5 colors for the reverse if you're looking for some contrast; ivory beige, soft pink, pale blue, grey or white. We fill the cover with polyester padding or duck feather, so you have nice, plump printed pillows that are ready to go. The cover is removable via a chic heart zip, and can be machine washed as normal, so there's no fussy maintenance. 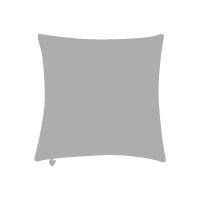 Small square cushion: 16" sq. 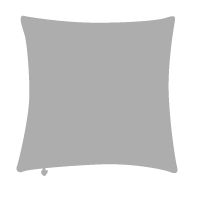 Large square cushion: 20" sq. 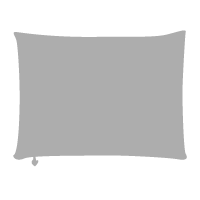 You have 2 square pillows in small and large, or a large rectangle pillow to choose from. Your unique designs are printed onto the velvet fabric using dye sublimation, fusing the inks deep into the fibers for an everlasting print. We know how important it is to coordinate your home furnishings, so we give you the option of printing on the reverse too. Mix and match two distinct design themes, or design your own pillow using similar patterns but with their own nuances. For a simplistic but stylish approach, leave the reverse plain and just choose from 5 gorgeous colors. Your custom pillow cushion is stitched by our expert seamstresses, where a chunky heart zipper is attached for a unique finishing touch. Machine wash the Soft Velvet cover at 86°f. Drip or tumble dry. You shouldn't need to iron, but if you do, please turn inside out and use a medium heat. To maintain the fluffy, soft pile, use a brush after every few washes and feel the fibers relaxing and returning to their original, gorgeous state. Colors, patterns and fine details all show up beautifully on the Soft Velvet fabric, so don't be afraid of using bold contrasts. The sumptuous feel and wonderful print reproduction make your customized pillow a perfect addition to the home. Print original artwork and bring your pieces to life, or use colors and patterns that help enhance other features in the room. Scattered on any seating area, your printed pillows demand attention, ideal if you've got a marketing message or brand that needs promoting. You can make your own pillow for personal or public space. very fast service and LOVE Smirkey Cat This came in blazing record time and I am ultra impressed with the quality and this artist! Janice Serilla. Rock on girl! Love it! Beautifully made pillow. Artwork sublimation is perfect. Sewing is top notch. Excellent quality! Can't wait to order more product samples to get my business running! Bring some life into your home with printed pillows. Using your artwork, photography, graphic designs or text, you can make your own pillow to reflect personal taste. Enhance your bay window seat with bespoke scatter custom pillows and make an instant feature piece for the room. For a more traditional use, your customized pillow set is perfect for decorating beds and sofas. Receptions and waiting rooms are often a little lackluster, but if you design your own pillow you can use this space for extra branding. Featuring your logo or slogan, printed pillows are an instant eye catcher and offer customers reassurance they're in the right place. Event areas that include a lounge space can be decorated with your customized pillow range. Comfort, branding and style rolled into one. Every home needs cushions, so give customers something totally unique with printed pillows displaying your original art pieces. Whether you paint, draw or use digital software, you can create a bespoke range that can't be found in the high street shops. Design your own pillow selection, curated into themes and sell your art in an alternative way. The cushion cover is our sublime Soft Velvet, a gorgeous fabric that oozes elegance. It has a short, silky smooth pile that is so cozy and sumptuous, it's the perfect textile for cushions. What is the wadding made from? You have a choice of two filling options, depending on the texture you're after or your personal preference. Choose from real duck feather or an equally soft and plump poly wadding. Can I print on the back too? There's several options for the reverse of your printed pillows. Select from soft pink, pale blue, ivory beige, grey or white, or alternatively print another design on the back for total customization. Whether you're looking for something contemporary and colorful or traditional and tasteful, find the perfect design in this eclectic mix of cushions, all of which printed with exclusive artwork from our #ContradoCreative artists. Cushion "Klimt's Kiss the Cat"